I'm Christine. I own and run Infinitum Therapy and have enjoyed working as a psychotherapist offering psychotherapy and counselling for over 10 years. I used to live in London and was running my own busy private practice in the city as well as working for the London Fire Brigade. After I moved out of London into the beautiful rural Shropshire , I realised how difficult it is for clients to access good quality therapy and have set up Infinitum Therapy to offer an alternative to traditional face to face therapy. I believe that everyone should have access to the right therapist for their individual needs, without being limited by location and without needing to travel to and from appointments. Online therapy is convenient, highly effective and very accessible. My aim and passion as a psychotherapist is to help people make sense of their thoughts and emotions and to overcome their difficulties. I believe that we all have a great potential to live the life we wish for, but sometimes we need help along the way. I have worked with and helped people with a wide variety of difficulties and backgrounds, but have extensive training and experience in working with people who have experienced trauma, have relationship problems, suffer from any kind of addiction or feel that their psychological problems are strongly related how they feel in their relationships. I am thoughtful and reflective in my approach and am particularly skilled in helping you uncover deeper issues which might be holding you back. My work is informed by my own personal and professional experiences; whilst my extensive training provides me with a solid foundation of knowledge and expertise, I also bring my own experiences of the joys and difficulties of life. I have a wealth of experience of treating mild to very severe mental health problems, which I have gained through working in NHS mental health and psychotherapy services, as well as working for the London Fire Brigade Trauma Service and in my well established private practice. 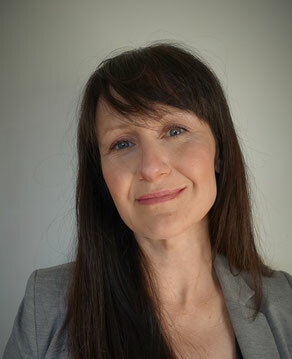 Christine is fully qualified and accredited in providing Psychodynamic Psychotherapy and Dynamic Interpersonal Therapy (DIT), Cognitive Behavioural Therapy (CBT), Eye Movement Desensitisation and Reprocessing Therapy (EMDR) and Counselling as well as having been trained in other psychological therapy models. She is accredited and registered with the British Association for Counselling and Psychotherapy (MBACP Accred). You can verify her membership and accreditation status on the BACP register. Christine is a qualified and fully accredited Cognitive Behavioural Therapist and am accredited with the British Association for Behavioural and Cognitive Psychotherapies (BABCP). You can verify her status on the BABCP's CBT Register. Christine is an EMDR Europe Accredited Practitioner, registered with EMDR UK & Ireland. You can verify her accreditation in the EMDR UK & Ireland Directory. Furthermore, Christine is accredited with the British Psychoanalytical Council (BPC) as a Dynamic Interpersonal Therapist Practitioner. You can verify her status on the BPC web page. Christine is committed to on-going CPD and has completed a range of further specialised training courses.